Dark Dimensions: Somber Song takes you to Seven Oaks, North Dakota, the location of one of the most violent Dark Dimensions you've yet to encounter. Can you discover what's causing this mysterious black smoke and stop it from snatching people right off the street? Find out in this latest addition to the popular Dark Dimensions series! 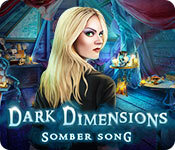 Dark Dimensions: Somber Song is the newest in a series of Dark Dimensions games developed by Daily Magic. Having never played either of the prequels, I was quite lost on the backstory. The opening scene shows a picturesque town in North Dakota being held hostage by a strange black smoke. You watch as a young girl is taken into its grasp right before your eyes and set out to find what is causing the utter chaos. The town is mourning the first anniversary of a tragic event – a local music school for children suffered a traumatic blaze, which took the lives of seven young students. How are the events from a year ago connected to the current evil haunting the town? 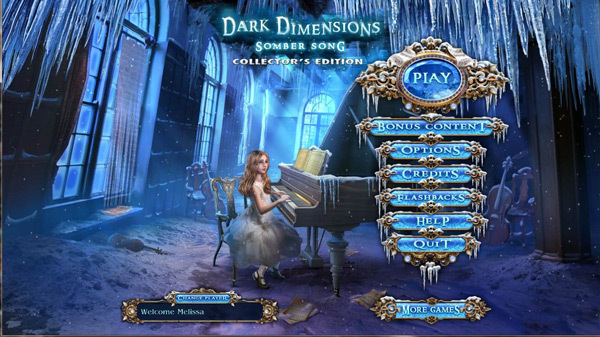 Dark Dimensions: Somber Song seems like a well-developed game – the graphics and animation are well done and it contains all of the features and bonuses one would expect in a collector’s edition. Along with the bonus content there are collectibles, integrated strategy guide, interactive map highlighting active areas and a diary to track progress. Despite all of these pros, I was too taken aback by the underlying story to really get into the game. 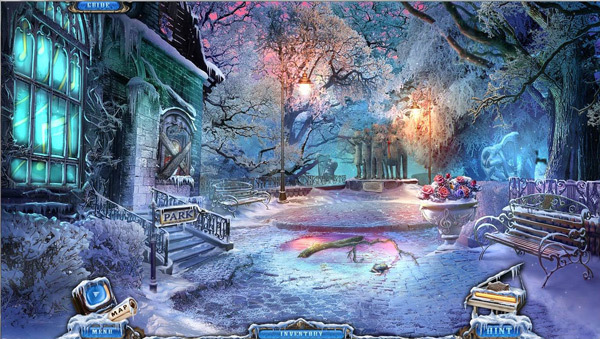 While many hidden object games are based on dark events, occult happenings and supernatural creatures, I was truly bothered that the story centered on the deaths of children. It was just too morbid for me to get into. Despite my personal aversion to the storyline, I appreciated the mechanics of Dark Dimensions: Somber Song. The game is well put together and fairly easy to walk through without use of hint or skip features. Most of the steps are logical, but I did check the Dark Dimensions Walkthrough a few times to be sure I was on track and hadn’t missed anything. The icy landscape of North Dakota in the winter was well depicted if not entirely realistic. Who searches around for a mitten after going outside? I think you have a better chance of dying of frostbite than solving the mystery of the black smoke. 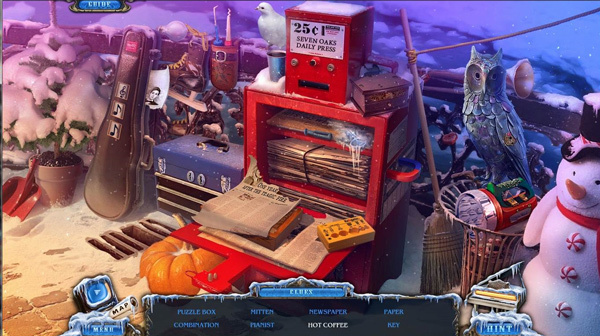 The hidden object scenes scattered throughout Dark Dimensions: Somber Song were relatively easy with some interaction and progression required. The item not listed in bold is the key to starting off the progression as it doesn’t require any interaction to pick it up. Most of the items are really hidden in plain sight; the challenge is just to determine the proper order in which to uncover them. The scenes are not overly dark or cluttered and well themed with the rest of the game. 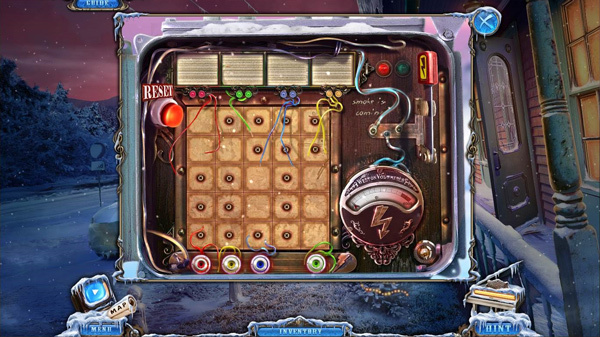 Similar to the HOS, I found the mini-games in Dark Dimensions: Somber Song relatively easy but fun. The games are all a twist on the usual types of puzzles, rotating pieces, and matching games, and they all fit well with the storyline. Solutions are easily found in the strategy guide if necessary or rely on the skip feature in easier modes. The underlying features of Dark Dimensions: Somber Song were well put together – good graphics, fun HOS, and interesting mini-games – but the subject matter fell short for me.